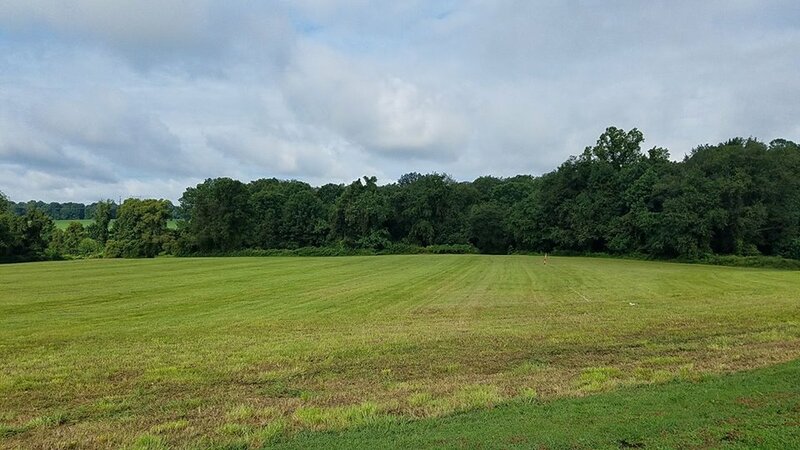 The town of Rising Sun in Cecil County, Maryland was one of the first in the region to establish a base ball club shortly after the conclusion of the Civil War. 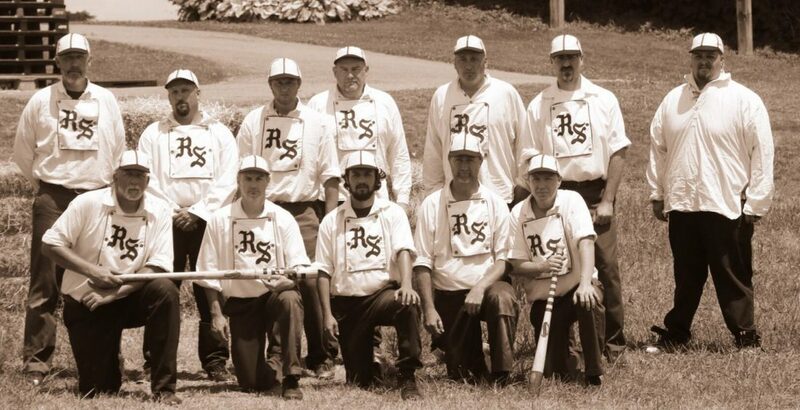 The Rising Sun Base Ball Club was first organized in 1866, and was admired by local writers and opponents for its abilities on the field at matches around the region. Common opponents were found in Elkton, North East, Charlestown, Havre de Grace, West Nottingham, and Chesapeake City. 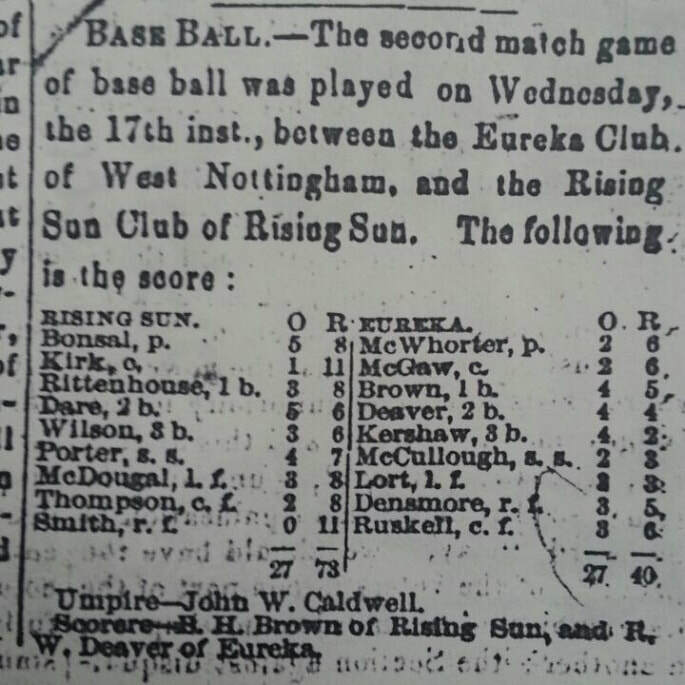 1866: First known record of the Rising Sun Base Ball Club. The club continued to field teams until the Susquehanna League folded in 1956, 90 years after the club's establishment. 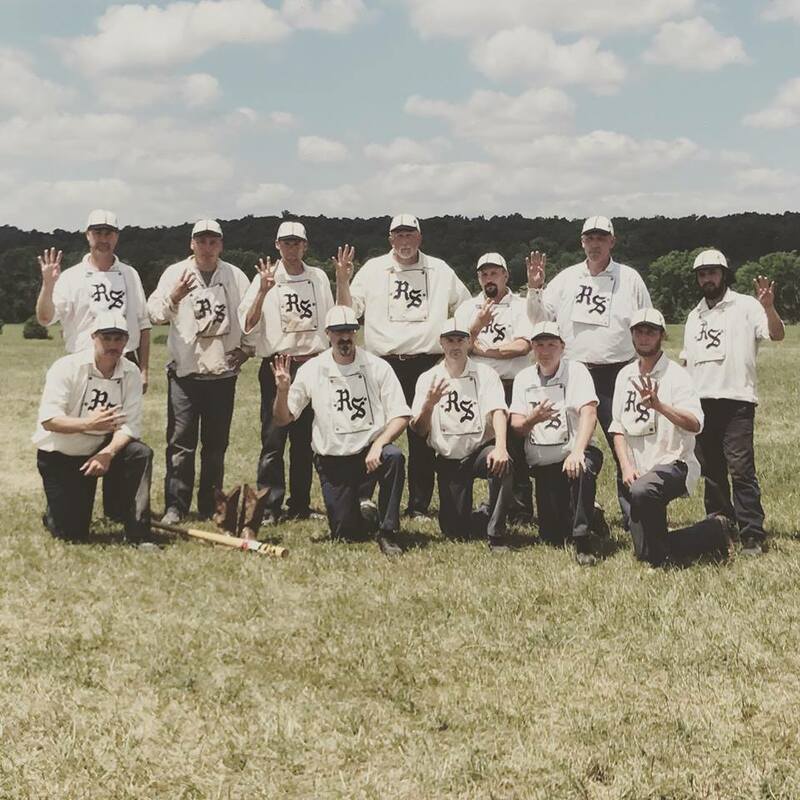 In that time, the Rising Sun Base Ball Club garnered several league championships. A rivalry that has always run deep. Excerpt from The Midland Journal, August 19, 1892. 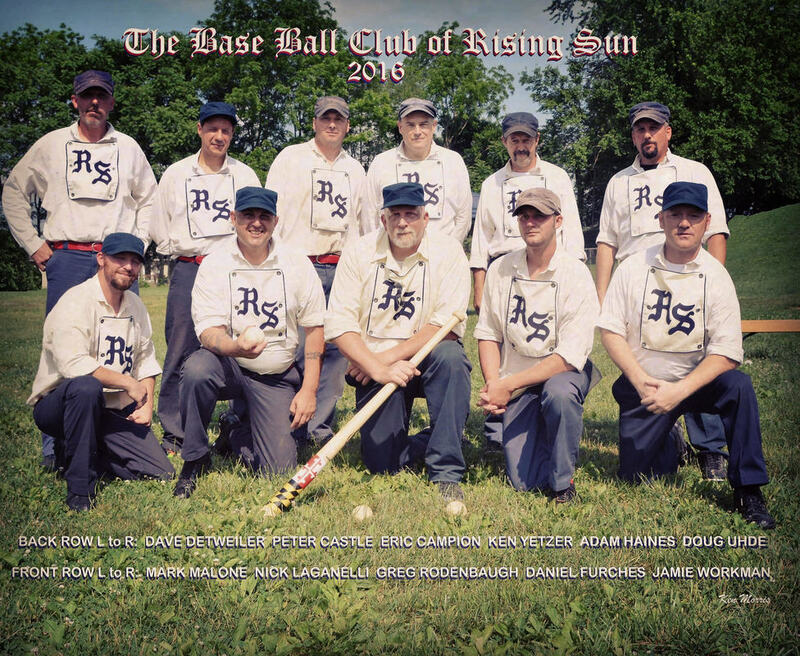 The re-established Rising Sun Base Ball Club was organized for the Summer of 2012. The club plays games with 1864 rules against various clubs in the Mid-Atlantic region, also attending large events like the National 19th Century Base Ball Festival in Gettysburg PA, and the Doc Adams Old Time Base Ball Festival in Old Bethpage, NY. Current membership consists of ballists residing in Maryland, Pennsylvania, and Delaware. 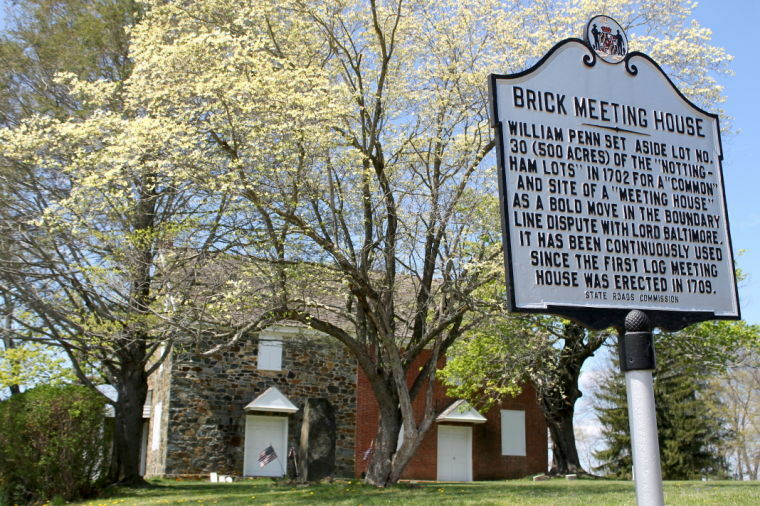 Home games are typically played at the Calvert Regional Park, located near the historic Brick Meeting House. Thanks to the gracious hosts at the Dove Valley Winery in Rising Sun, the club added two major events for the 2017 season and beyond: Weekend at the Winery and the 19th Century Base Ball Fall Fest. The Brick Meeting House near our home field, dating back to 1709.